Résumé: Contient: - Secret Wariors (II) 11 "Sinistre Machination (4)" (Secret Wariors (II) 11 "We Esteem Too Lightly. Part Four" 02/2018). - Secret Wariors (II) 12 "Sinistre Machination (5)" (Secret Wariors (II) 12 "We Esteem Too Lightly. Part Five" 03/2018). - Les Inhumains Royals (I) 11 "Comme si rien ne pouvait tomber" (Royals (I) 11 "Fire From Heaven Part 3: As Though Nothing Could Fall" 01/2018). - Les Inhumains Royals (I) 12 "De Kether à Malkuth" (Royals (I) 12 "Fire From Heaven Part 4: From Kether to Malkuth" 01/2018). - Les Inhumains le jugement dernier (I) 01 "Le jugement dernier" (Inhumans: Judgment Day (I) 01 03/2018). - She-Hulk (I) 159 "Jen Walters doit mourir (1)" (She-Hulk (I) 159 "Jen Walters Must Die Part 1" 01/2018). 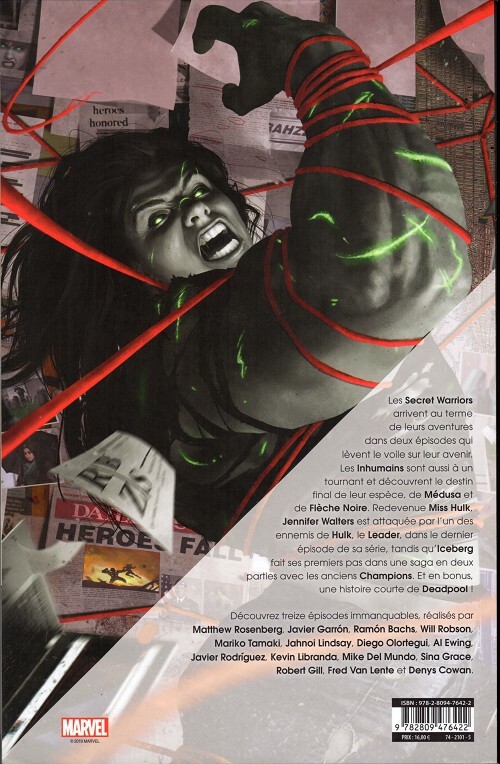 - She-Hulk (I) 160 "Jen Walters doit mourir (2)" (She-Hulk (I) 160 "Jen Walters Must Die Part 2" 02/2018). - She-Hulk (I) 161 "Jen Walters doit mourir (3)" (She-Hulk (I) 161 "Jen Walters Must Die Part 3" 03/2018). - She-Hulk (I) 162 "Jen Walters doit mourir (4)" (She-Hulk (I) 162 "Jen Walters Must Die Part 4" 04/2018). - She-Hulk (I) 163 "Jen Walters doit mourir (5)" (She-Hulk (I) 163 "Jen Walters Must Die Part 5" 05/2018). 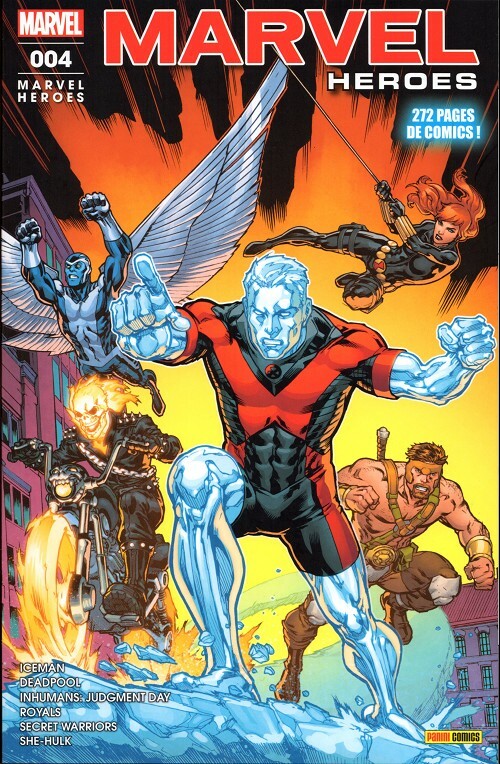 - Iceberg (III) 06 "Réunion de champions (1)" (Iceman (III) 06 "Champions Reunited Part 1" 12/2017). - Iceberg (III) 07 "Réunion de champions (2)" (Iceman (III) 07 "Champions Reunited Part 2" 01/2018). - Deadpool (II) 1000.4 "Ferme ta lanterne" (Deadpool (II) 1000.4 "Silentest Night" 10/2010).